I live in Philadelphia, which is quickly becoming a foodie destination on the East Coast of The United States. 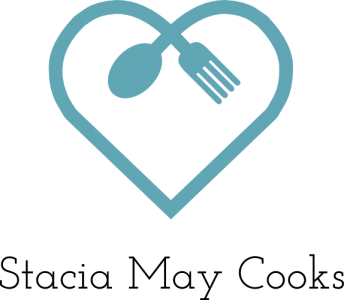 There are a lot of great eateries here, which my husband and I love to check out for date night or just a night with friends. The following is a list of my top ten favorite restaurants in Philadelphia. Some are fancy, some are holes in the walls, but what they all have in common is great food! If you are ever in Philly, check these places out! Zahav is probably my favorite restaurant in Philadelphia. Located in the Society Hill neighborhood, Chef Michael Solomonov creates amazing Israeli food with a modern twist. He also just published a wonderful cookbook by the same name. Get Tayim, which is Zahav’s tasting menu. The staff will ask you if you are adventurous in your eating, and you should definitely say yes! You will get to taste food you’ve never tried before and the kitchen loves an eater who’s up for anything! If you do not get the tasting menu, you should at least try the hummus–it is the best hummus I have ever tasted. Tables fill up quickly, so reservations well in advanced are recommended. Fiorino is a hidden gem in Philadelphia, that just so happens to be in my neighborhood of East Falls. It is a small, intimate, Italian, BYOB. Chef Franco Faggi has Emiglia-Romagna roots and exemplifies this in his ever changing menu. Everything is wonderful, but if eggplant rollatini is on the menu, definitely give it a try. I normally am not a fan of eggplant, but the cooking of this dish is just superb and not overly heavy, which is how eggplant can tend to be cooked. Reservations are a must, as this is a tiny place and fills up quick! Of course I can not do a list of Philly restaurants without mentioning my favorite Cheesesteak joint. Chubby’s, in the Roxborough neighborhood, is where I love to get my cheesteaks. They are known for their fried onions, so getting a cheesesteak “wiz wit” is a must, although my go to order is a cheesesteak hoagie, with American cheese and fried onions. The hoagie designation means it also has mayo, lettuce, and tomato. I love this place because it has ample seating and a full bar. Nothing like a cheesesteak and a beer! Located in China Town, Spice C, is known for it’s hand drawn noodles. 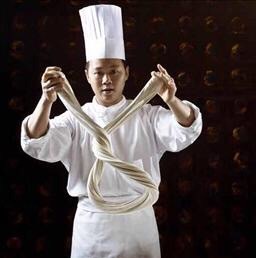 The noodles are made to order and utterly amazing. My favorite is the Wonton Soup. Not only are the noodles great, the broth is the best wonton soup broth I have ever tasted. They are also well known for their shaved noodles. It is Chinese comfort food at it’s finest! Nestled between the Kensington and Fishtown neighborhoods, this place is a pizza lover’s paradise. Not only does it serve great pizza, but it also is The United States’ first “Pizza Museum” and is in the Guinness Book of World Records for having the most Pizza paraphernalia in the world. They feature white and red style pizzas with a thin crust. My favorite white pizza from Pizza Brain is the Lucy Waggle, which is an amazing combo of flavors in the form of mozzarella cheese, grana padano cheese, pine nuts, fresh thyme, dates, prosciutto, and arugula. As for a red variety, I love the Wendy Wedgeworth, which is topped with mozzarella cheese, sun-dried tomatoes, arugula, and honey goat cheese. Yum! Bonus: Connected to Pizza Brain is Little Babies Ice Cream, which creates small batch seasonal ice creams and non-dairy frozen treats, with unique flavors such as Earl Grey Sriracha and Rose Pistachio. Chabba Thai Bistro is in the Manayunk neighborhood and is my go to Thai restaurant in Philadelphia. 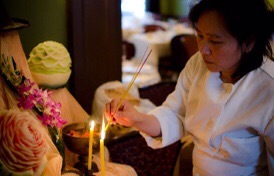 It is also considered the best Thai restaurant in Philadelphia. It is 5 minutes from my house–bonus! Chef Moon Krapugthong creates beautiful and tasty thai dishes and also spreads her cooking skills by occasionally teaching cooking classes. Crepe Pad Thai is my favorite of her dishes. I also love the Tom Kah soup. Chef Moon also has a small market & café next door to Chabba, called Binto, which is a great spot for lunch and also to stock up on Asian pantry items. She even picked kefir lime leaves from her tree out back and gave them to me for free when I couldn’t find them for a recipe I was trying out! Chefs Rich Landau and Kate Jacoby created this restaurant in the Rittenhouse Square Neighborhood, after being inspired by their travels and tastings of international street foods. This is an entirely vegan restaurant with unbelievably delicious riffs on street food from around the world. The menu does change, but my current favorite is the Dan Dan noodles. They also create amazing cocktails inspired by their travels, such as the, Lokum at the Bazaar, which is a dreamy concoction of bourbon, jallab, and Turkish coffee. Tables fill up quickly, so reservations are a must if you are not just visiting the bar. 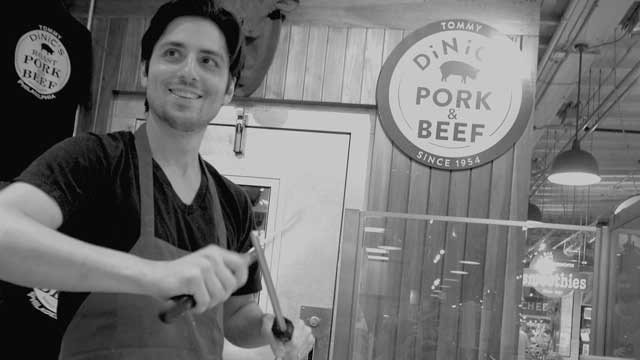 Found in the iconic Reading Terminal Market, Tommy Dinics is home to the best sandwich in The United States: Roast pork with broccoli rabe and provolone cheese. I completely agree with this assessment, and it is a definite must try. Give yourself plenty of time, as the line for this sandwich routinely wraps around the entire restaurant and seating is limited. Like Dim Sum? Are you in Philly? Look no further. 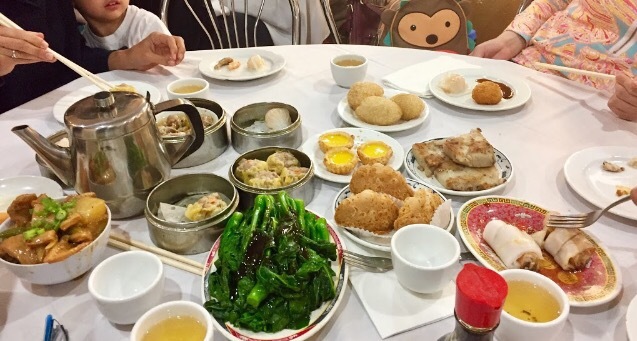 This is my favorite Dim Sum place in Philadelphia’s Chinatown. It features well prepared, authentic dishes and is reasonably priced. I know it sounds freaky, but their chicken feet are a delicious savory treat! I know that this is not exactly a restaurant, but you have to have dessert after dinner, right? The Creamery is in the Roxborough neighborhood, and is dangerously close to where I live, dangerously, because it is dangerously delicious. It features a variety of homemade soft and hard ice creams. My usual order is a small soft serve Orange and Vanilla twist. It tastes like a creamsicle and a small is actually huge! I hope you enjoyed this list and if you are ever in the area, check out some of these places in Philadelphia. If you are a Philly resident or have visited Philadelphia, what are your favorite places to eat? I know! I’ve always had to do two months in advance for the weekend and a month for a weekday! !